Some people like having a boss – others like being the boss. Running your own business can be exhilarating and terrifying in equal measure but more and more individuals want to go it alone. So what do you need to do before taking the plunge and going out on your own? Preparation, preparation, preparation! Of course you don’t need to be expert at everything when starting a business, but there are certain personal qualities that will stand you in good stead. You should be self-sufficient, have plenty of initiative, be determined and resilient, be responsible, have a bit of imagination and be prepared to ask for help when you need it. Ask yourself, have you got what it takes? You will need initiative, determination and persistence, resilience and a willingness to take personal responsibility for your successes and failures. Although this does not need to be a formal document, you do need to plan how you are going to tackle all areas of your business. The plan should then act as a guide and measure your progress. Make sure you understand what market you are in, who your competitors are, why a customer should buy from you rather than your competitors and whether the market is growing or declining. Make sure that you take advantage of the extensive advice available from Business Support Organisations. Above all else, you will need to start your business with the right attitude. If you want to develop a successful and growing business, it is essential to borrow long-term, to re-invest profits and to train and develop employees for the future. So if you’re starting up in business, what should you look for from your bank? As a starting point you should see what training they provide. 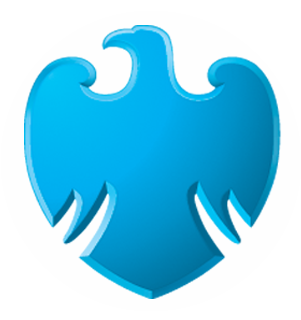 Barclays Business aims to champion small businesses and prides itself on the level of service and range of support that they offer to people who are starting up. We provide bank accounts to c. 850,000 customers with a turnover of less than £5m and lend to an SME every 4 minutes. How do you find out which bank will be interested in helping you succeed? It’s worth talking to your bank and asking what makes them an expert! At Barclays, Local Business Managers are encouraged to spend time in their customers’ businesses as employees learning what it’s really like to run and work in a small business. And finally it’s important to get a competitively priced range of business banking products. Whether it’s a product or service to get you started, something for ‘every day’ banking or to help you move onto bigger developments or decisions, Barclays has something that will solve the issue and make your life easier. In addition, to the essential Business Bank Account, and full range of competitive business savings accounts and loans, Barclays was the first bank to pre-assess our SME customers for instant overdrafts and loans and for those looking to expand overseas – Barclays Business Abroad, a package of tools and information to help small businesses export for the first time with confidence. ‘One stop shop’ includes a range of measures such as international credit checks, export document preparation and a currency account. So when it comes to setting up your business it’s worth taking the time to make sure you can stack the odds in your favour by getting the right training and a bank that cares about your business before taking that final plunge.